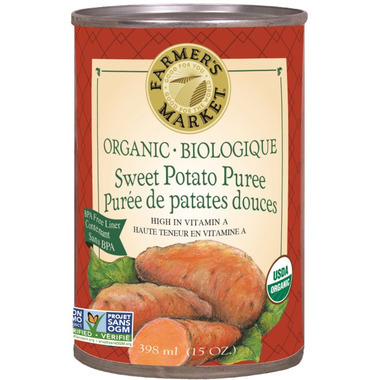 Not only does this Organic Sweet Potato puree make a wonderful vegetable side or main dish, its natural sweetness lends itself to a wide variety of delicious recipes. Think sweet potato pancakes, muffins, biscuits or even bisque. They’ve made it easier than ever to incorporate the luscious taste of sweet potatoes into your recipes. Love this product! Organic, safe packaging, no fillers, tastes great. 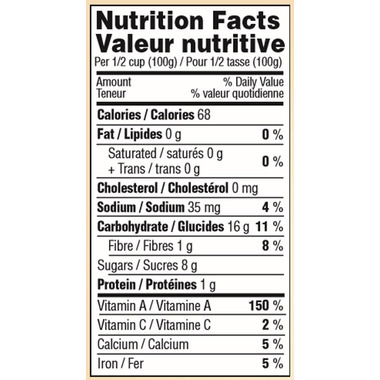 And you can use it to partially replace fats in baking - bonus. Great in soooo many baked goods and meals. Big fan! Delicious and versatile. Can throw into a soup to thicken or eat on its own. Low in sodium.